Einstein Brain Trainer made the port to Google Play not too long ago in an attempt to get players to sharpen their wits with a series of brain teasers. The game keeps close tabs on your progress over time so you can see how much smarter (or stupider) you’re getting over time, and ranks you accordingly. 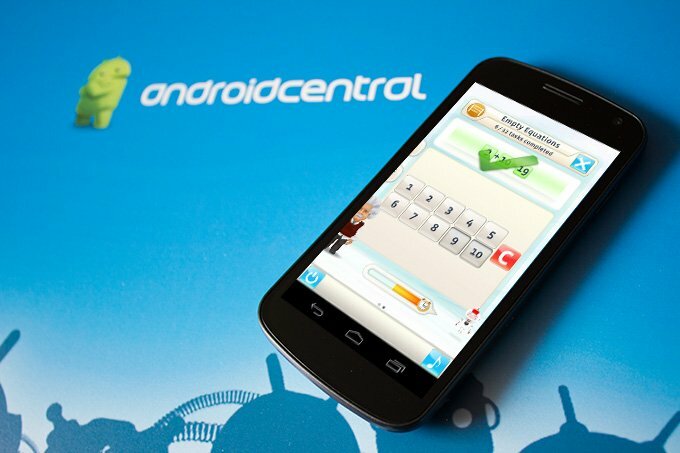 Einstein Brain Trainer for Android is hosted by a cute cartoon version of Albert Einstein and a tiny robot called Robo. It’s all very Wii Fit-esque. Menu transitions are smooth, lively, and animated, and textures are equally polished. The user interface isn’t exactly standard, and has a few quirks. The system-wide back button doesn’t close the active window, but rather exits the app. I had problems pulling up the virtual keyboard at times to punch in names for multiplayer. Some areas, such as the Brain Capacity screen, require you to pan to the left (as if to another home page) to see Einstein and ask him for help, rather than just having a question mark button elsewhere on the current screen. The bottom bar shows title text for bottoms, but only as you’re holding them down, which is a brief amount of time, and awkward to hold down while reading. The in-game menu doesn’t have an option to go back to the main page, only right back to the very beginning of profile selection. The prominent mute button kills music, but not sound effects (which should each have separate volume sliders in the game menu anyway). 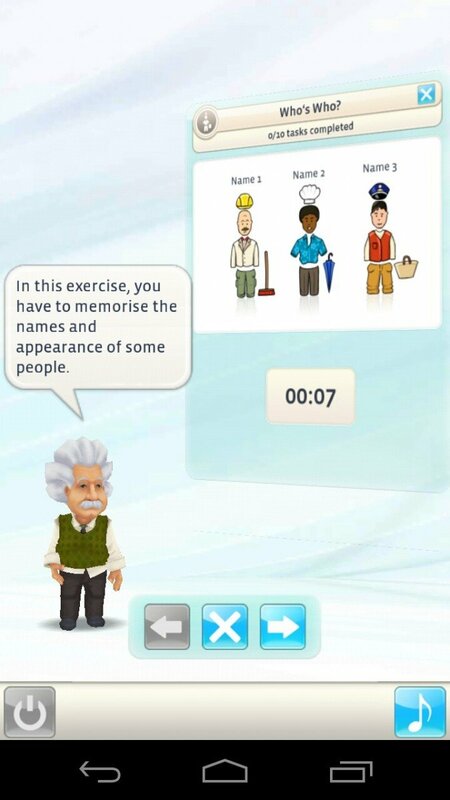 Einstein Brain Trainer offers a wide variety of exercises to keep every part of your brain in shape. The core game is the workout section, which provides a fresh assortment of exercises every day to gather new stats. Players can also drill down into particular categories for logic, memory, calculation, and vision, each of which has six distinct challenges. Getting around them is easy enough, and generally involves quick taps on multiple choice options, or big friendly buttons in the activity area itself. There’s hotseat multiplayer available, so you can pit your cognitive might against a friend’s. I really liked the idea of the Nintendo DS Brain Age franchise, but never had much of an opportunity to really dig into. Even after just a few rounds on Einstein Brain Trainer, I regret not getting into these kinds of games earlier. At face value, they seem silly; where’s the fun in simple addition and object matching exercises? Bring on the exploding zombies and robot ninjas. As it turns out, beating these simple, practical exercises makes you feel way more clever, and after getting stuck in a rut of doing the same tasks day-in and day-out, it can be refreshing to work some new mental muscles. I had a few stability issues: the game failed to authenticate my licese after the initial download, requiring an uninstall, but otherwise it ran smoothly, UI issues above notwithstanding. 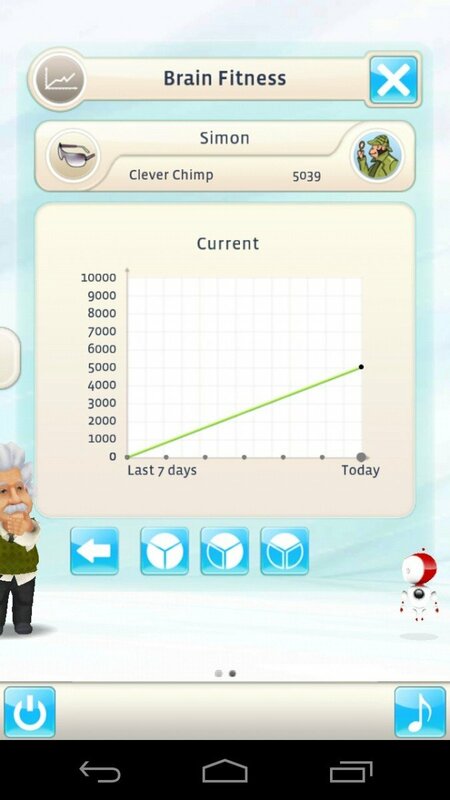 Einstein Brain Trainer is a great way to keep your brain in shape while still having some fun. It’s really easy to fall into games that are mindless and repetitive thanks to their high entertainment value, but really simple exercises can be leagues more productive and only marginally less fun. There are a handful of user interface “quirks” that defy sensibility, but they’re easy enough to forgive. There’s a free version available if you want to test the waters, but I would definitely say that the full game is well worth the $2.99.